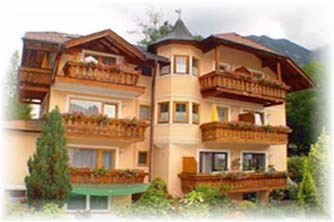 Our house is quietly situated next to the Grießpark in the heart of Bad Hofgastein. The distance to the town centre, the new alpine thermal baths or the cable car "Schlossalm" is not more than 5 minutes to walk. The bus stop for the free ski bus is directly outside the house. Enjoy our sauna, solarium and whirlpool (not included in the price). There is also a fitness room and free bikes to use for touring the Gastein valley. In summer you can relax in our garden with desk chairs, heated swimming pool and table tennis. For breakfast we can order fresh rolls and bread every morning (not included in the price). Parking spaces beside the house. We would also be pleased to organize your appointments at the therapy centre!